Michelin Pilot Power 3 new for 2013? 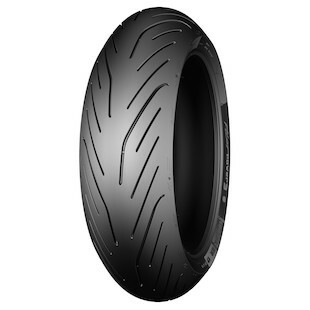 For the truly aggressive street rider or track day enthusiast, Michelin has been faithful with their Pilot Power and Power Pure tires over the recent years. Coming soon, speed freaks will be able to step up their game with the Michelin Pilot Power 3. Most have experienced the 2CT compound by this point either from Michelin or through a similar technology from a competing brand. 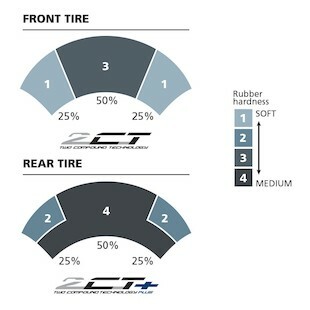 The advancement for the Pilot Power 3 tires comes with the 2CT+ compound. Essentially, this back the softer tread on the shoulder of the tire with a harder reinforcement. Though this added layer never becomes a contact patch, its placement enhances tread rigidity and cornering stability by giving more support to the shoulder of the tire, especially when accelerating out of turns. Now you'll have the stick and the stability to give it that extra bit of grunt on corner exit. Michelin touts this as a 4 second advantage over the previous Pilot Power 2CT tires. The other upgrade built into the Pilot Power 3, is the all new wet grip compound, said to give a 4.5 second advantage over the 2CT tires in the wet. Combine this with the semi-slick tread design and an additional 20% treat life and you can see why Michelin is so proud of this latest iteration. The Michelin Pilot Power 3 Tires are aimed at the super sport street rider, who wants to spend his weekends at the track.